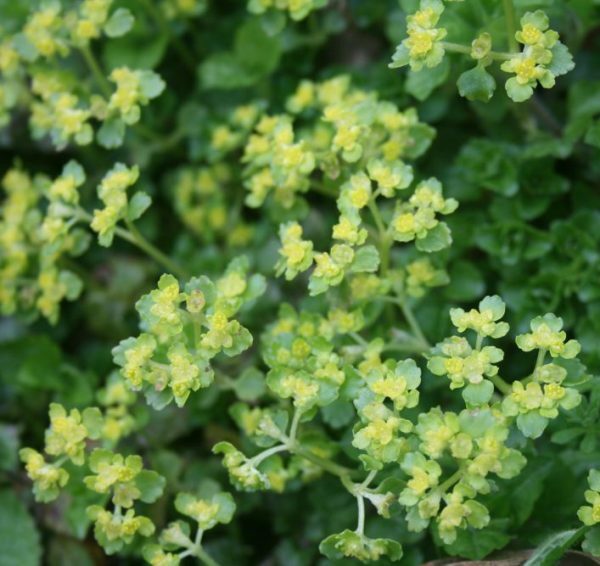 This little plant covers damp or boggy shaded areas with a mat of bright greeny-gold all through spring and early summer. The whole plant looks exactly like a tiny euphorbia, with the flowers themselves little green dots in the sea of gold. 2” sections of “mat” supplied.